ELJ Bordet is a leading supplier of folding and stackable furniture in the European market, providing its products to a number of different industries, including aviation. The company’s goal is to become Scandinavia’s leading supplier of flexible furniture for airports, public spaces, offices, restaurants, hotels, events and festivities. 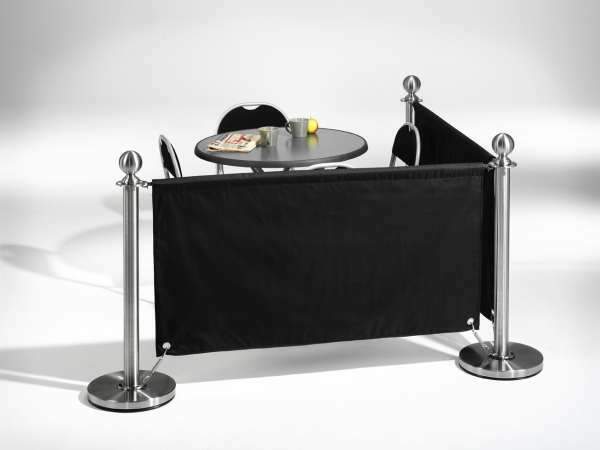 Amongst other folding and stackable furniture, ELJ produces a number of different crowd control barriers, which are ideal for airports and other busy public areas. 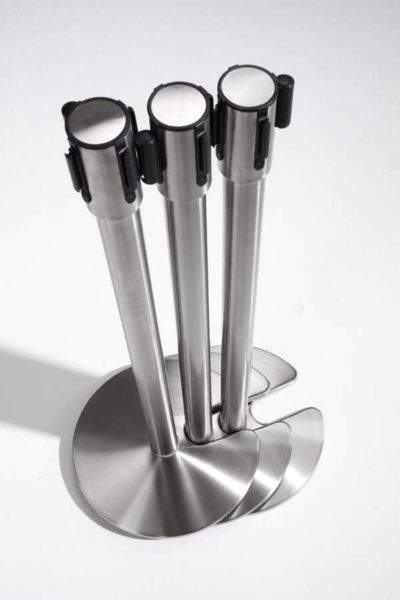 All products are available in various colour combinations, such as red, black, white, brass, stainless and blue. 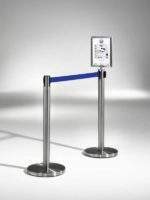 BANK crowd control tape barriers are composed of three interchangeable parts, which makes for a more flexible and economical product in the long run. In just a few seconds you can change the tape colour or bolt on a crown so that you can use ropes instead of tape. 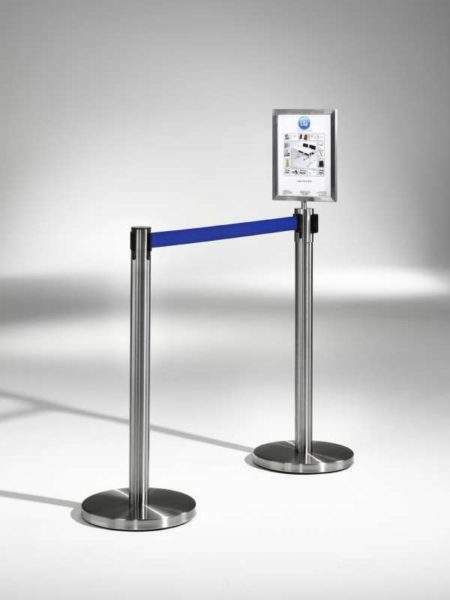 The MÄSS product is another crowd control tape barrier and the original model from the company. The MÄSS range can be found at many airports, banks, fairs and other public spaces around Scandinavia. Both BANK and MÄSS consist of 180cm-long retractable tapes that are held between two 90cm poles, which weigh 9kg. DISCO crowd control rope barriers are the original ELJ Bordet model used at many airports, restaurants, hotels, bars, discos, fairs and other Scandinavian destinations. 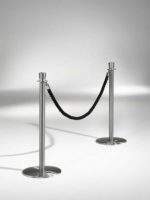 The product is available as a stainless steel or brass post with DISCO-style crown and a choice of red, black or blue rope. 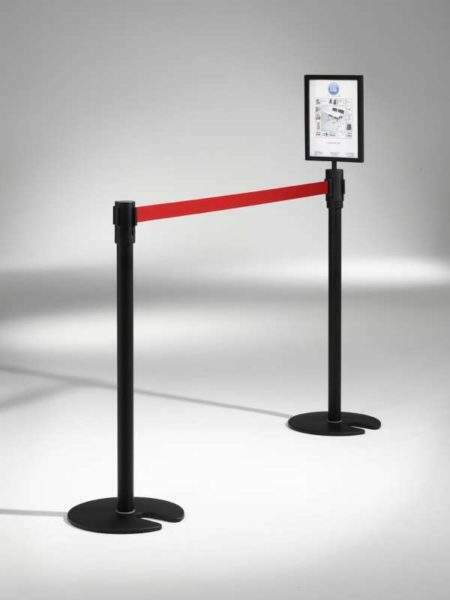 The HOTEL crowd control rope barrier is a new concept, which ELJ Bordet has developed over a long period of time, made up of three interchangeable parts that make it more flexible and economical in the long run. In just a few seconds users can replace the crown with tape cartridges. The products’ stainless-steel posts are attached with red, black or blue rope. Ropes are 150cm long, weigh 9kg with 90cm-high poles. 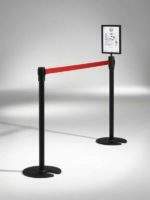 Accessories are available for both tape and rope barriers so that users can maximise their space and customise crowd control to specific needs. ELJ Bordet manufactures a wide range of stackable chairs, in a variety of styles, colours and materials. 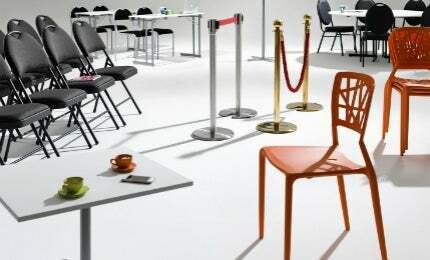 Stackable chairs are manufactured using steel and aluminium, with hard-wearing fabric and a shaped position. All seats are lightweight (4.1kg, 4.6kg, 5.3kg and 5.7kg), while wagons are available for transport and storage, with each being able to hold 25 chairs. ELJ Bordet’s range of folding chairs come in white, black, grey and blue, fabric and full-plastic, are made from durable plastic and are ideal for outdoor use. The chairs weigh either 3.5kg or 4kg, depending on the model, and offer the ability to fold away into a cart, which can hold 30 or 50 chairs. Since July 2006, the company has been owned entirely by Johan and Oscar Aggebrink and their aim is to continue the development of folding and stackable furniture. ELJ Bordet produces products in its factory in Sweden, as well as in Asia. Because ELJ Bordet stocks all of its products, the company can deliver any order across Europe in just a couple of days.